WE employ color strategists AND RELEASE color trendS EVERY YEAR. 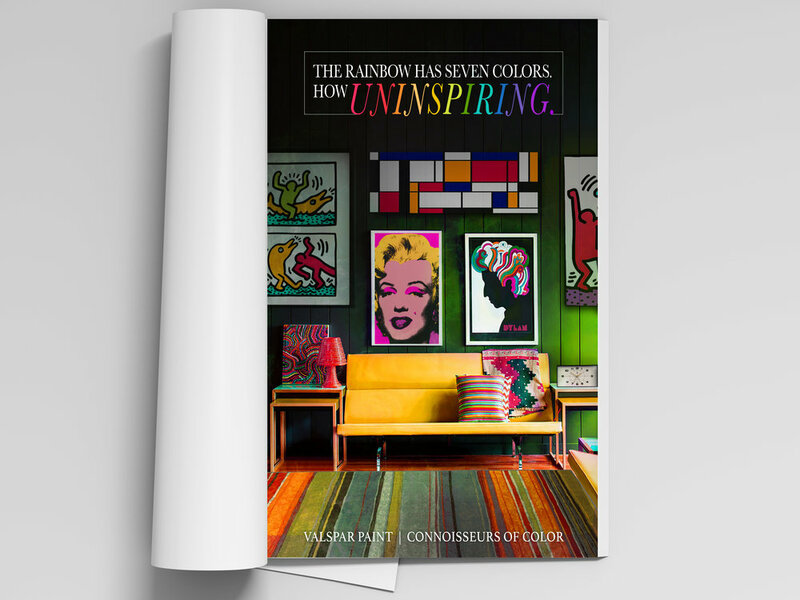 OUR PASSION AT VALSPAR MAKES US CONNOISSEURS OF COLOR. our instagram filter generates a swatch of colors based off YOUR PHOTO. the eyedropper tool gives you exact names for eACH of the colors IN your pic. WE'll send color suggestions to your inbox when you #ConsultaConnoisseur. WE’LL TAKEoVER THE Chicago Green Line. We'll assess the sky to determine how hard it's really trying to impress us. TheSE DIGITAL billboards animate to reflect the color of the sky EACH day. THE qr codes On the lids of our paint cans DOWNLOAD SPOTIFY playlists CURATED BY THat color. SIGN OUR PETITION and we'll give you 20% off any one of our products. claim your discount with a connoisseur of color aT ANY ONE OF OUR RETAIL LOCATIONS.